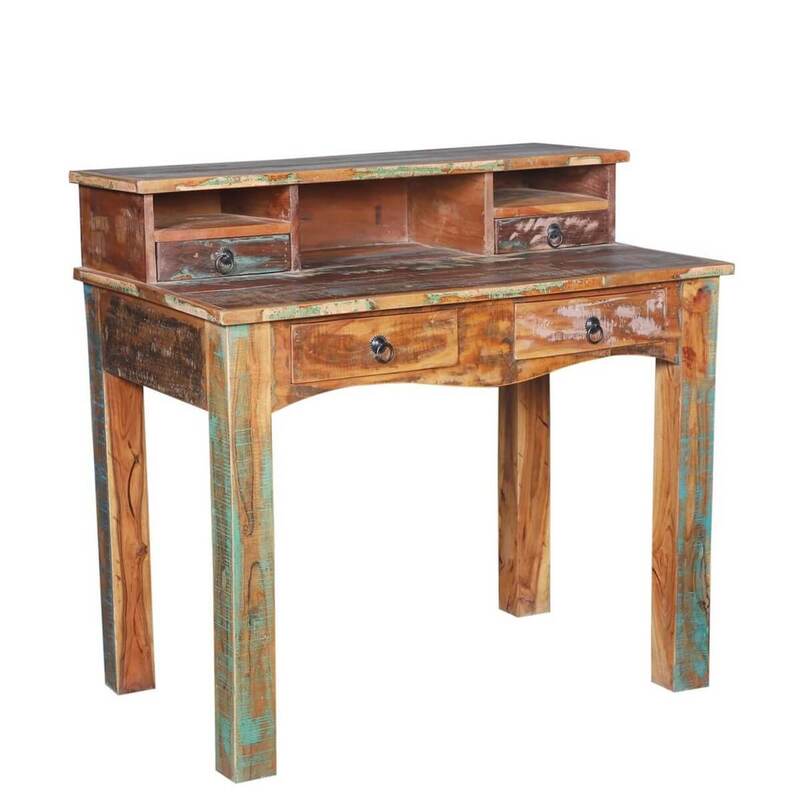 Inspired by the ageless appeal of handcrafted Americana furniture, the natural weatherworn look of our Lawtey Rustic Reclaimed Wood 4 Drawer Desk with Hutch takes on antiqued appeal with muted contemporary aura. 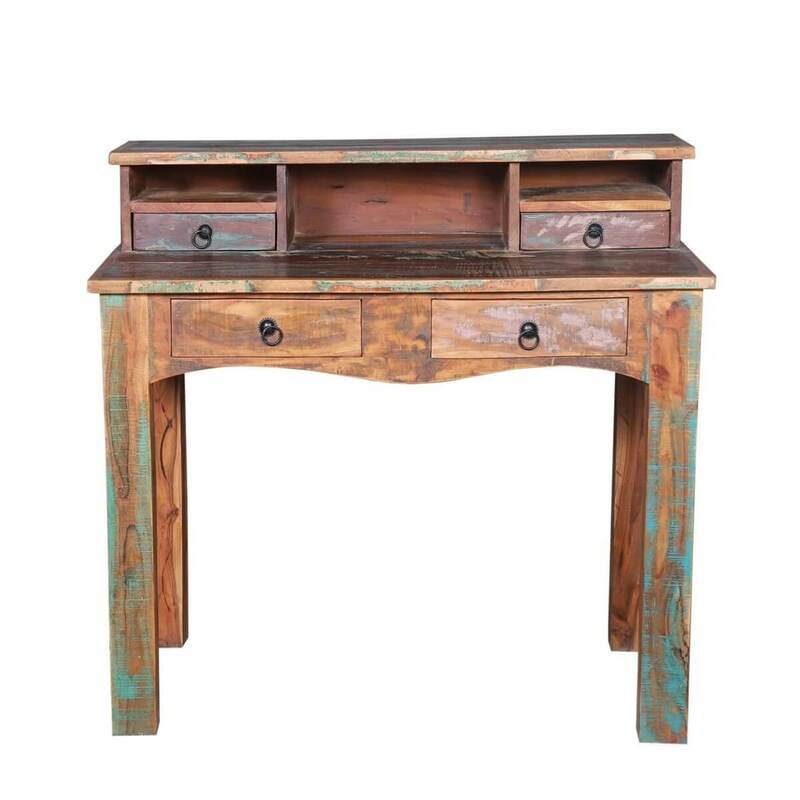 Make your home all the more functional with the refined, yet rustic air of this reclaimed wood desk with hutch. 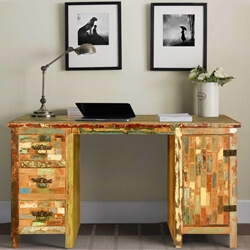 Whether you run your business from home or just need a proper place to manage the household accounts, this writing desk is perfect for turning any room of the house into a well-edited workspace. 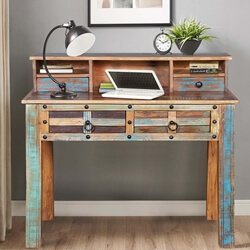 Set up your laptop and keep office supplies within easy reach with plenty of storage and surface space right at your fingertips. This solid wood desk supports two generous main drawers with antique metal ring pulls, in addition to two smaller drawers with matching pulls and central open cubby located within in the accompanying hutch. 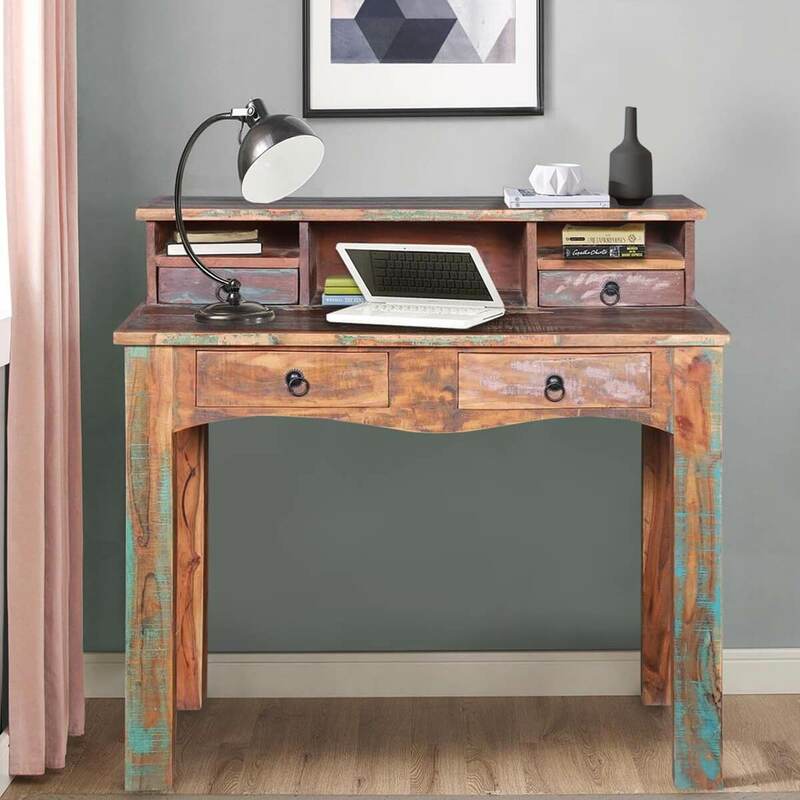 The top of the writing desk is generously sized to fit a number of decorative items with enough space for a table lamp in which to light your writing endeavors. 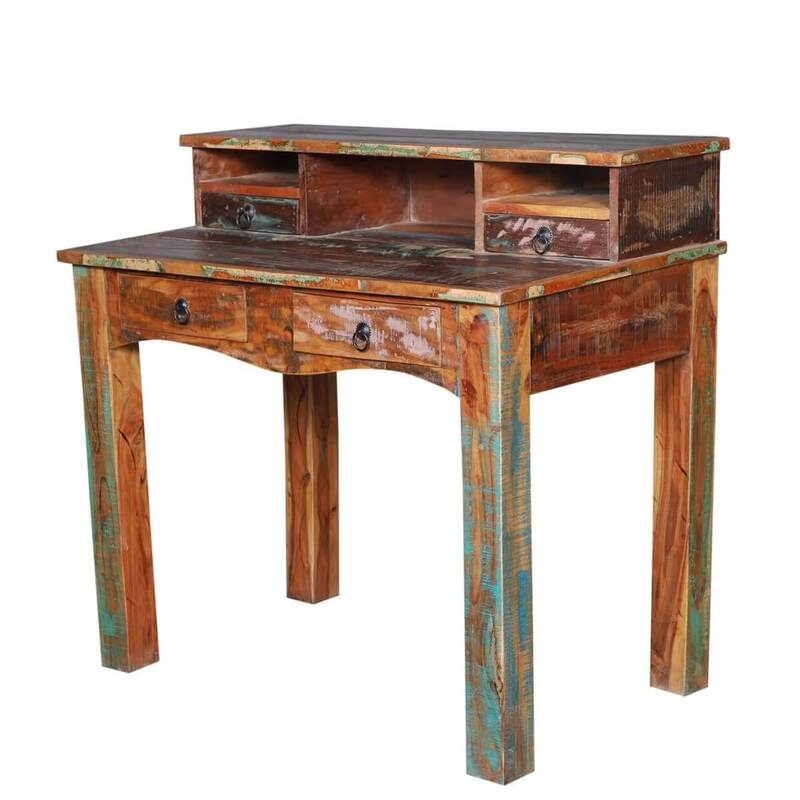 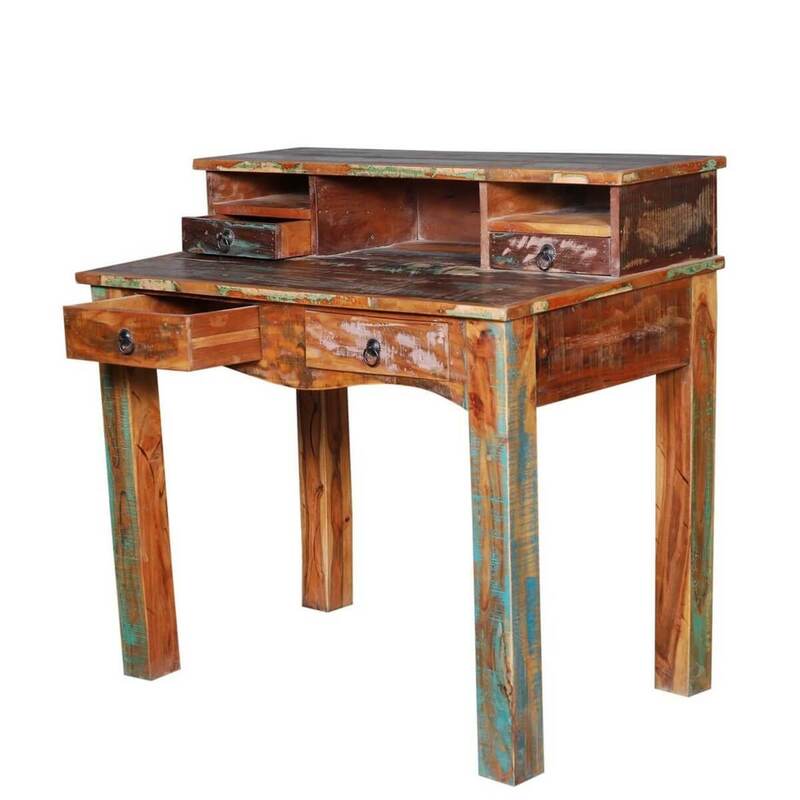 With old world inspired details and plenty of space to spread out, this one-of-a-kind reclaimed wood computer desk is sturdily constructed, using traditional methods of handcraftsmanship that ensures a beautiful piece of functional artwork to last through the ages. 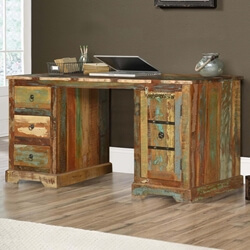 The solid milled wood is naturally textured and enhanced by a rich, eco-friendly finish with distressed, multicolored undertones. 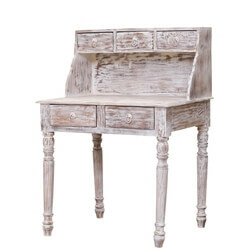 It stands on four wooden legs that provide a clean-lined silhouette with adequate support.